Cummins 330 HP Diesel 904 hours at listing, 5.7 kva Onan GenSet. Diesel 680 lt, Water 550 lt. Excellent accommodation includes 2 x double berths, large bathroom with separate shower, and spacious entertaining areas inside and out. 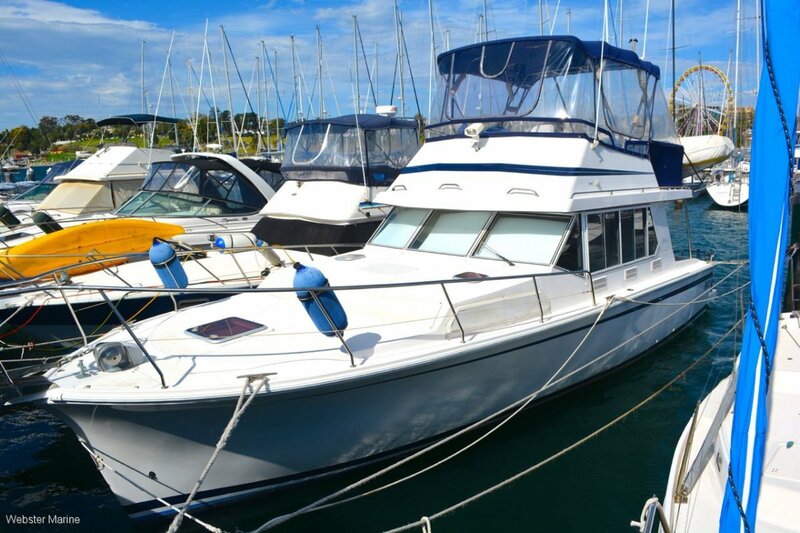 The fast displacement design and user-friendly layout of the quality Australian built Fairway cruiser has stood the test of time, having been produced since the 1980's, and this is a sparkling example of a late model vessel. Last slipped March 2019, including prop-speed and polish. Engine and genset servicing completed April 2018. New set of clears fitted. New rams fitted to trim-tabs. New cover fitted to tender. New hot water service fitted.